Siropa, a term adopted from Persian sar-o-pao (head and foot) or sarapa (head to foot) meaning an honorary dress, is used in Sikh vocabulary for a garment, scarf or a length of cloth bestowed on someone as a mark of honour. It is the equivalent of Khill'at or robe of honour with the difference that while a Khill'at is awarded by a political superior and comprises a whole set of garments with or without arms, a siropa is bestowed by a religious or social figure or institution and may comprise a whole dress or, as is usually the case, a single garment or a length of cloth as a mark of recognition of piety or as an acknowledgement of unswerving devotion to a moral or philanthropic purpose. The use of the term may be traced to certain hymns of the Gurus where the exact words used are kaprra (garment or cloth), patola (scarf) and sirpau (saropa, dress of honour), and they signify the bestowal of honour as well as protection of honour. For example, Guru Nanak Dev Ji states, sachi sifat salah kaprra paia--- I received by His grace the garment signalling me to sing His praise (GGSJ, 150). And Guru Arjan said, prem patola tai sahi dita dhakan ku pati meri --- O Lord, thou hast invested me with the scarf of love to save my honour (GGSJ, 520). In another hymn he sang, suṇi pukar samarth suami bandhan kati savare/ pahiri sirpau sevak jan mele nanak pragat pahare--- Responding to my humble plaint the all powerful Lord has cut asunder all of our shackles. Upon his servants he has conferred robes of honour (GGSJ, 31). Yet in another place : bhagat jana ka lugara odhi nagan na hoi/sakat sirpau resmi pahirat pati khoi--- devotees of God are not naked even in torn rag. One who is attached to maya loses his honour clad even in his silk robes (GGSJ, 811). Siropa should be distinguished from the bestowal of a turban or gown by a saint upon a disciple as a mark of initiation or confirmation in an order or of succession to its headship. Siropa among the Sikhs is a symbol of honour or benediction. The practice can be traced back at least as far as Guru Angad who bestowed upon (Guru) Amar Das a scarf every year. The latter treated these scarfs as sacred gifts and carried them tied on his head one above the other. 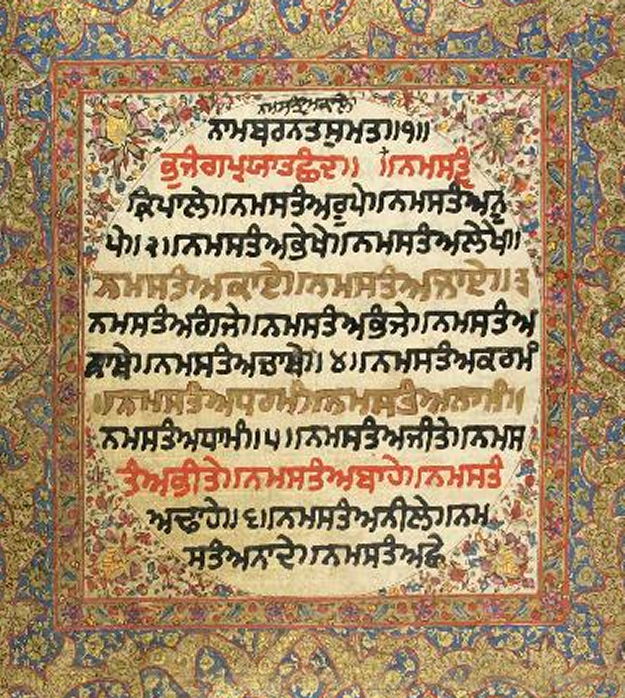 The siropa is now a gift bestowed by sangat on behalf of the Guru Granth Sahib upon someone who deserves the honour by virtue of his or her dedication. It is almost invariably in the form of a length of cloth, two to two-and-a-half metres, usually dyed in saffron colour, accompanied by prasad, the consecrated food which could be in the form of karrah prasad. Siropa is the highest award that a Sikh may receive in sangat. It is the most precious gift of the Guru made through the sangat. The present practice of giving a siropa to anyone who makes an offering of or exceeding a certain value or who happens to be socially or politically important is, strictly speaking, an aberration. Siropa is earned through high merit and dedication.